Torpedograss (Panicum repens) is native to Asia and Africa and was introduced to North America as a forage crop. Now torpedograss weeds are among the most common and annoying pest plants here. It is a persistent plant that pierces soil with pointed rhizomes that grow a foot or more into the earth. 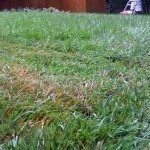 Eliminating torpedograss in the lawn is a tricky business, requiring tenacity and usually multiple chemical applications. The weed is nearly indestructible and has been known to come out through weed barrier fabric. 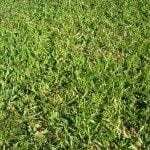 The methods on how to get rid of torpedograss do not encompass selective herbicides or mechanical measures. This is bad news for those of us who prefer not to use chemicals on our landscape. You could just leave the stuff alone but it would first take over your lawn and then move to the garden beds. Torpedograss weeds spread by their numerous seed but also from even tiny fragments of rhizome. This makes for a formidable foe and indicates the necessity of herbicide use as the primary torpedograss control. The first step in any weed control is to correctly identify it. Torpedograss is a perennial that can grow up to 2.5 feet in height. 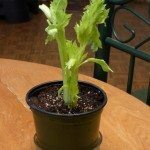 It produces stiff stems with thick, rigid, flat or folded leaf blades. Stems are smooth but the leaves and sheaths are hairy. The color is grayish green. The inflorescence is a vertical loose panicle, 3 to 9 inches long. This annoying plant can flower all year long. 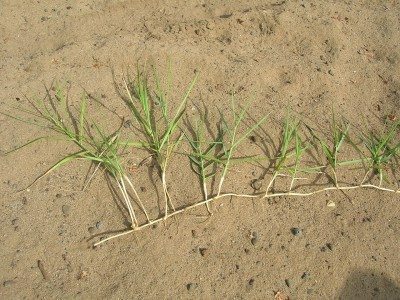 The rhizomes are a key to torpedograss identification. They stab down into soil with pointed tips that spear soil and grow deeply. Any part of the rhizome that remains in soil will resprout and produce new plants. Torpedograss control is nothing to jest about due to its difficulty and general unpredictability. As mentioned, weed barriers have little effect on the plant and hand pulling can leave behind rhizomes, causing more problems later. There have been some studies showing burning as being effective but this is only in conjunction with herbicide use. In garden beds, use glyphosate applied directly to the weed. Do not get any of this non-selective chemical on your ornamental plants. You may have to repeat again to ensure complete torpedograss control. You can also try a selective herbicide like fluazifop or sethoxydim. Repeated applications are again recommended. Both the latter chemicals will suppress torpedograss but likely not kill it. 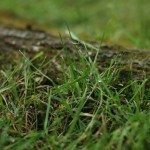 The type of chemical you use in grass infestations will depend upon the species of grass growing in your lawn. Not all herbicides are safe on all types of sod. Kill patches of torpedograss in the lawn with glyphosate. It will take out a bit of the turf but you can remove the dead vegetation and reseed. A kinder, gentler method in Bermuda grass or zoysia grass is to use a formula with quinclorac. In centipede turf, use sethoxydim. This will kill the torpedograss but not damage the lawn. Many other lawns have no recommended selective herbicide.